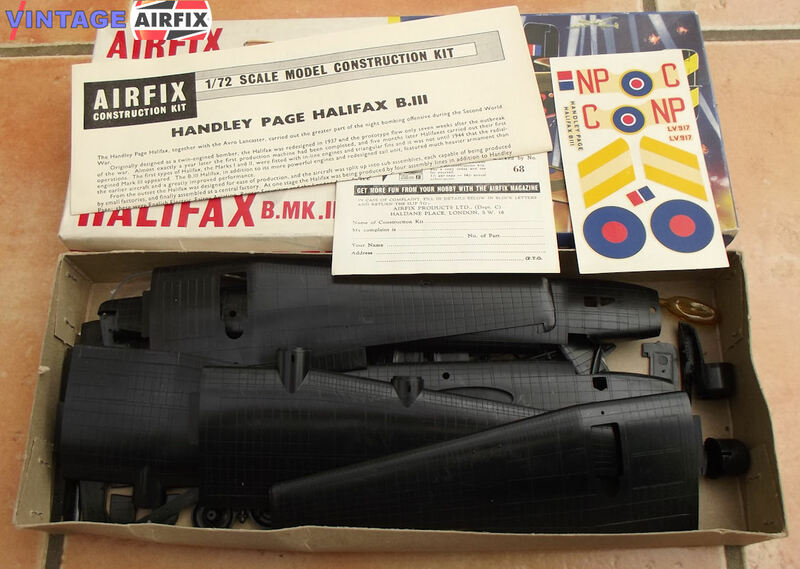 A 16 3/4 inch wing span, elevating ailerons, movable tail fin and rubbers, rotating rear and mid-ship turrets with elevating guns, operating undercarriage - these are just some of the exciting features of the Airfix Construction kit of this B.111 Halifax, a model of the actual plane which flew with 158 Squadron R.A.F. Every rivet is accurately reproduced in this model. The sculptured figures of the Air Gunners, pilot, Navigator and Flight Engineer can all be seen in the finished model. The prototype of this model survived the War after 100 missions. Halifax Bombers took part in every major raid on thr Greater Reich and the daylight offensive after D-Day. This fabulous kit contains no less than 122 parts.